An earlier story - CAD design work begins for Wb locos - details the research and computer aided design work done to produce a digital model and working drawings suitable for fabricating the cab and bunker side sheets. A number of original components were located from the store of parts, cleaned up and fitted to the new sheets, and all steel work blasted and primed. Finishing coats of black enamel were applied to the exterior, and green enamel to the interior. 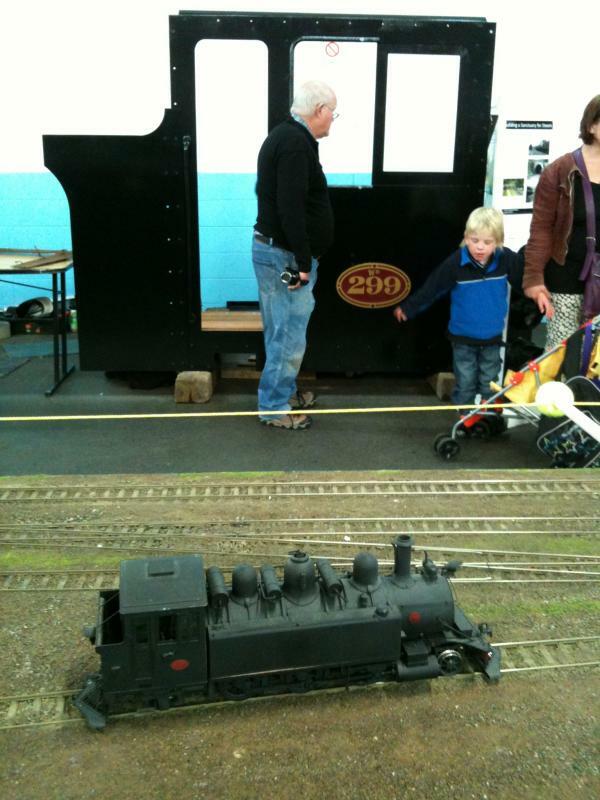 A replica number plate completed the display and neatly identified the lot as Wb 299. 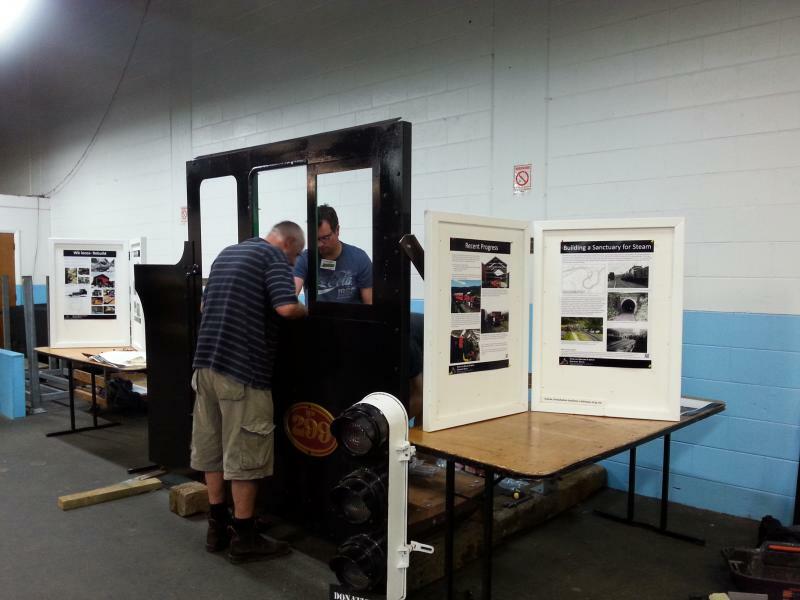 Following are a selection of photos from the RailEx exhibition at Porirua over the weekend of 14-15 November, and its current location at Maymorn. 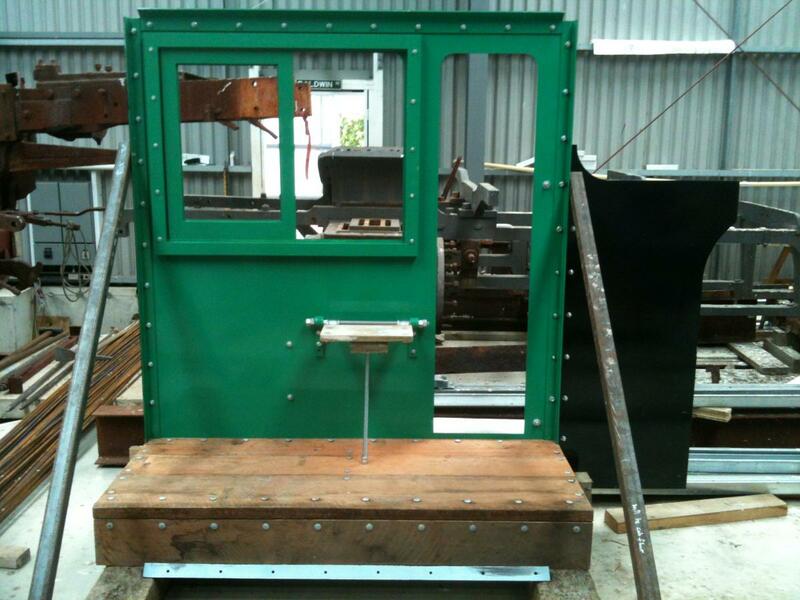 One can expect to see additional components added to the cab in the not too distant future! 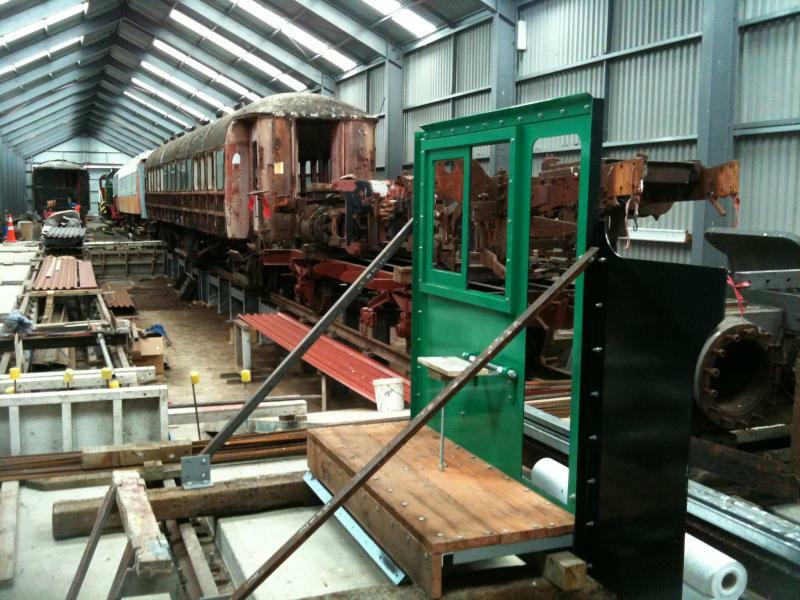 Trust volunteers assembling 299's cab and bunker at RailEx on 14 November 2014. 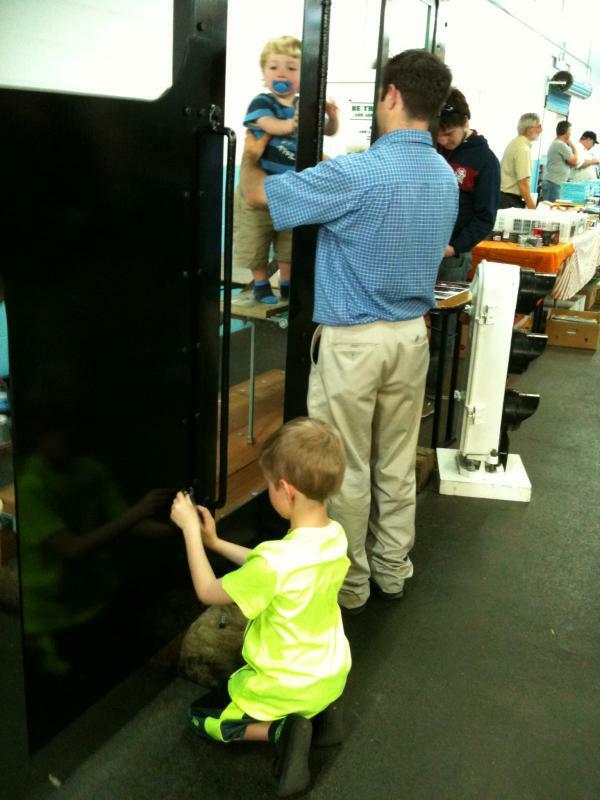 The display was a hit with young and old... A few family photo albums will feature photos taken over the weekend. The cab and bunker side plus cab floor unit was transported from RailEx to Maymorn, and reassembled alongside Wb 299's frames. 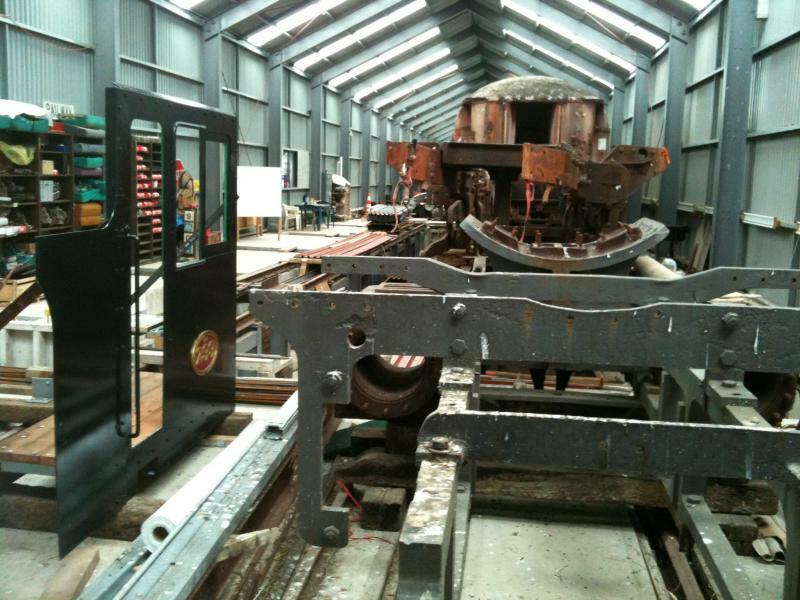 Another view of the cab and bunker side assembly inside the shed at Maymorn on 22 November.